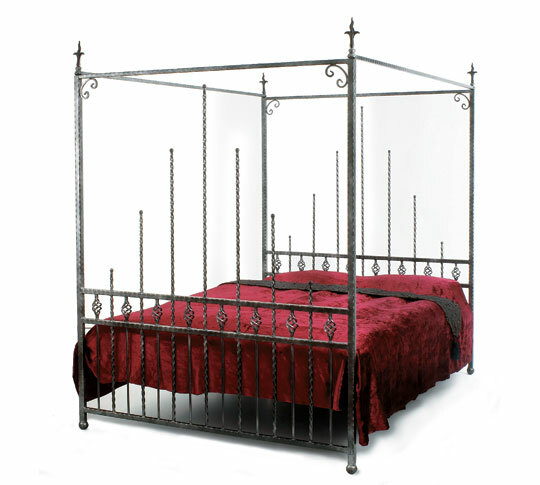 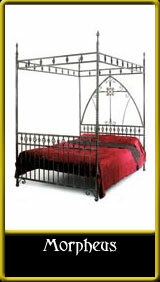 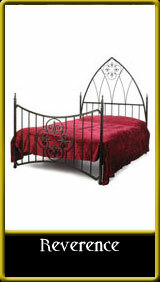 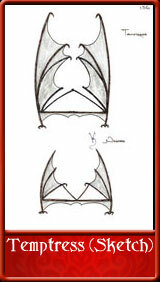 An elegant wrought iron four poster bed with clean straight lines to suit both traditional and modern decors. 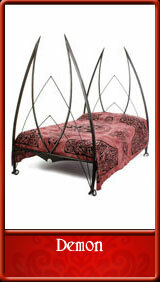 The framework of the bed is discreetly bolted together to make access easier in awkward areas. Made from hammered edge square steel with solid twisted bar and baskets/cages. A variety of options is available including different finials, alternative top bar configurations and end frame in-fills.